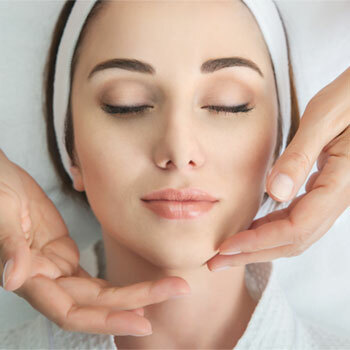 At Sanaya Threading and Skin Care (formerly known as Merle Norman Chicago), we help our clients discover their true beauty using high quality products and natural skin care techniques. We provide an array of services ranging from eyebrow threading to microdermabrasion Our eyebrow artists use natural, biodegradable cotton thread to delicately lift away your unwanted hair without exposing your skin to harsh chemical. We use environmentally friendly products along with impeccable service to make you look transcendent. The ancient hair-removal technique, practiced for centuries among the most beautiful women of Asia and the Middle East. It is the best alternative to waxing and tweezing, especially for sensitive skin. A form of semi-permanent hair removal which removes the hair from the root. Almost any area of the body can be waxed. There are many types of waxing suitable for removing unwanted hair anywhere on your body. While enjoying our services, you get 90 minutes free validated parking. By using high-quality products and natural skin care techniques, we ensure your complete satisfaction. Our experienced staff will treat you like royalty, making your entire experience an unforgettable one. Let yourself be pampered! Your skin will thank you for it! Copyright © 2017 Sanaya Threading and Skin Care. All rights reserved.